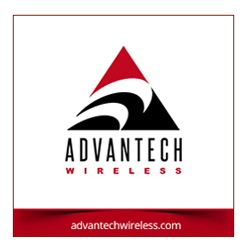 Global Invacom has partnered with Edgewater Wireless Systems Inc. (“Edgewater”) for the further development of Broadcast WiFi (“Bx-WiFi”), a technology that enables live, high quality and large-scale event video streaming over a WiFi network. Edgewater is an industry leader in innovative WiFi Multi-Channel Single Radio (MCSR™) technology for residential and commercial markets. The Partnership will leverage Edgewater’s expertise to further develop the existing Bx-WiFi technology and will provide access to Edgewater’s professional grade WiFi technology, engineered to support high-client density applications. Access to Edgewater’s MCSR™ platform will enable large scale testing over a high-quality network designed to withstand increasing use of WiFi and mobile devices within stadiums and arenas. Bx-WiFi was first unveiled and successfully live-tested by the BBC and Global Invacom in August 2017 at the Edinburgh Fringe Festival, the largest arts festival in the world. The breakthrough technology enables simultaneous streaming of uninterrupted audio or video content from multiple sources to thousands of smartphone or tablet devices, all connected to a hotspot in the same venue, such as a concert, conference or sporting fixture. It uses Forward Error Correction to maintain video quality, and multicast technology that minimises bandwidth usage when a large number of users are simultaneously streaming. According to Statista (November 2018), more than 619.7 million people attended music and sporting events worldwide in 2018, generating more than USD 63.7 billion in revenue and rising this year to a projected 653.8 million+ attendees and USD 71.7 billion in revenue. As live sports fans, event attendees and concertgoers pour into these venues, they expect to be able to access high-quality WiFi service without disruption or delay, regardless of how many users and devices are being used simultaneously. The Partnership solves the problems of WiFi reception and transmission in high-traffic venues by adding Edgewater’s MCSR solutions to Global Invacom’s Bx-WiFi technology. Steven Fisher, Systems Architect at Global Invacom, said the company is thrilled to be partnering with Edgewater to further develop the firm's Bx-WiFi technology. Access to Edgewater’s experience and industry know-how will enable the company to improve and enhance the existing technology without customer grade hardware limitations. Eric Smith, VP of Product for Edgewater Wireless, added that the firm is pleased to be working with Global Invacom and to be testing the Bx-WiFi technology over the firm's footprint of WiFi hotspots. This partnership will allow Edgewater to push the boundaries of the company;s hardware and could set a new record number for video streaming to a device on each hotspot. Applications such as Bx-WiFi further enhance the capabilities of the company's MCSR™ technology and further drive market demand.